Take a look around your environment and ask yourself “Is this what I was born for?” Have you got the health, wealth, relationships and lifestyle you truly love?” How are you going to get it it you haven’t got it already? Live Your Life Purpose With Ease, Prosper From Your Purpose, and Evolve Your Purpose are the online programs that are changing lives now. Have it all. These multi-layered, deep dive programs are your keys to take you from frustration and working too hard in the wrong direction, to short and long term success and fulfilment. With Jo Messenger’s rare ability to present videos and notes with an easy to follow and practical format, you’ll have deep clarity on your NEW life purpose so you can elevate all areas of your life with confidence and certainty. It’ll feel like she’s walking beside you while you re-invent yourself on your terms. You know you can’t keep going the way you’ve been any longer. Many People are at Nosebleed. Between elections, plebiscites- and bifurcation of opinions, as well as extreme leaders, extreme weather, uncertainty about health-care and taxes, many people have observed they’ve never seen such unsettled times. If you listen to the talking heads on the tube or social media, it’s easy to get sucked into the quicksand. Since so many people look to YOU to be the rock, the go-to wise-one, it might be helpful to remind yourself that you stand for truth regardless of fake news or popular opinion. You get more of what you think about. If you keep looking at what’s wrong, you’ll get more of what you think is wrong. You’ll attract to to you like a magnet. You cannot, not! If you want something better, you need to focus on that. Grow that! I’m often asked “When is IT going to stop?” … as if the pain in their life will stop when they get to a calendar date. “It” stops when you do. “It” stops when you stop the fear/judgement/criticism/unforgiveness/gossip/manipulation/restrictive beliefs/whatever. If you’re not in the light how can your life be? It cannot stop before you do. It’s completely in your hands when (or if) you stop. There’s been a lot of talk lately about moving from “old energies and paradigms” to the “new”. If you keep waiting for the new, you’ll get to keep waiting for the new! 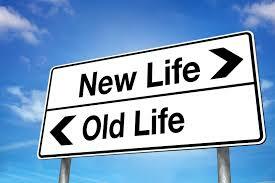 The new comes from you making decisions and changing direction. Categories: INSANITY BUSTERS, LIFE PURPOSE | Permalink.